Warming up this month for our one-month April/May US tour in support of our debut album “Music!Music!Music!”. More info to come! All tickets on sale now! Lucy & Big Band at GroundUP Fest, Miami! February 10, GroundUP Fest, Miami GET TICKETS and VIEW FESTIVAL TRAILER! Lucy feat. with WDR Big Band in "Love & Other Bad Habits"
Sep US & Oct Europe dates! 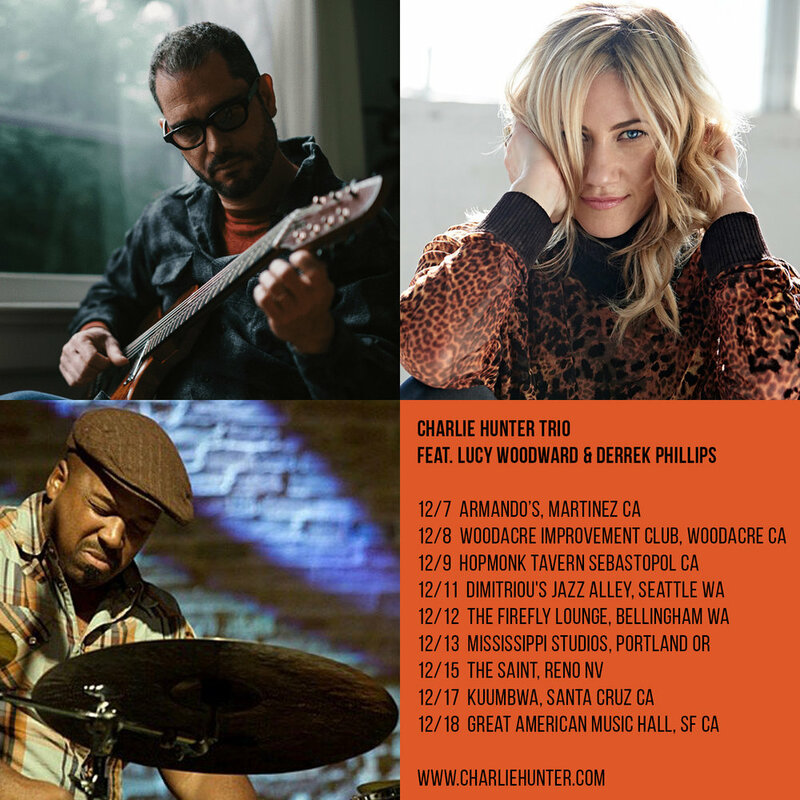 Charlie Hunter, Keita Ogawa and I went on tour and did some cool things together. Check out our rendition of Willie Dixon's "Spoonful" that we just released yesterday. And in case you missed our rendition of Randy Week's "Can't Let Go" (originally covered by Lucinda Williams), check that out too! Did a very cool interview with the one and only Co De Kloet on NPO Radio 2 | Soul & Jazz in Holland last night. The interview is now available on his podcast on itunes! We talk, play music, talk shop, my dutch roots. I love when interviews feel like 5 minutes and they are over an hour. it's like you're truly hanging with a buddy. LIVE BIG BAND Video for 'Ladykiller' out today! In 2017, I was invited to guest sing with the TipToe Big Band in Denmark. They asked me to bring Big Band arrangements of my own material and to say this was a dream of mine is an understatement. I sat down with arranger/friend Dave Richards to discuss the sound of where this could go: I didn’t want it to be traditional, I wanted to go a bit left and make sure there was room for grit and soul. 'Ladykiller' is the opening track from my 2016 record "Til They Bang On The Door", released on GroundUP Music and arranged by my dear friend and drummer Jamey Tate! The song demo started in Henry Hey’s living room with a choir of trombones, but I never thought the day would come where I’d ACTUALLY be singing with a choir of trombones LIVE on stage...watch it on the Video page of this site or YouTube! Proud to be interviewed and a part of this dangerous tribe of musicians on the I'd Hit That podcast! And verrry honored to be the first singer interviewed (is bragging okay this time of year?)! Enjoy some singer nerd-out talking, my fellow vocalists! Darren Paltrowitz interviews Lucy for The Hype Magazine on her latest album Til They Bang On The Door, Rod Stewart and what's up next for her in 2018.